Do you know how many miles I ran this weekend? Do you know how I feel about it? For some reason, this comment really resonated with me. I know that taking a short break right now won't lead to weeks without running. And I also know that I felt pretty a-okay not running this weekend. On a piece of advice from my sister, I bought a bike pump to inflate my bike tires so this week I'll bike. Another comment, from Looseyfur, got me thinking, too. 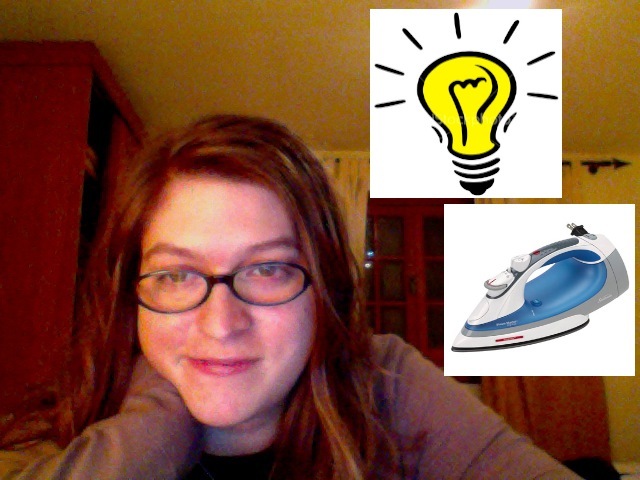 She asked about my iron. I've struggled with my ferritin before: my iron goes down, I take drugs, it goes back up, I go off the drugs, it goes down. (This is all done under my doctor's supervision.) I hadn't really given much thought to my ferritin - I had a blood test a few weeks ago, although I never followed up with my doctor after it. But as soon as I read that comment, I had a lightbulb moment. Get it? It's an iron! It's never until I start noticing improvement from the iron pills that I realize how badly I'd been affected by the low ferritin levels. Now, I know I haven't been getting enough sleep lately, but I woke up after nine hours of sleep Sunday morning and I felt like I'd been drugged. I walked through the whole day groggy. Last night I fell asleep an hour earlier than usual while doing some work, and I woke up nine hours later groggy. I'm writing this through a mental haze. I've been awake for over an hour but I'm still pretty out of it. Tomorrow: something more coherent. I heart you - you're listening to your body and taking a rest day! Awww! In all seriousness though, I get burnt out occasionally and know that I have to take time off of running or else I might go crazy. No, I'm kidding: have your ferritin levels checked. Seriously. You know who else talks to you about your ferritin: my mom. Dude, I've been there (the lack of motivation place...) In fact I've more or less been struggling with a lack of running mojo since November. BUT I do think that cutting your self some slack can help. A few days off can help you to miss running a bit - absense makes the heart grow fonder, eh? And the weather is supposed to be g-o-r-g-e-o-u-s this week. That alone usually adds some pep to my step. So glad I finally got to meet you last night! Take a break...I took it easy in April and now I am looking forward to building my mileage. In an unrelated story, your race report for bear mountain was spot on. It was definitely a little scary with those downhills. No blood, or deer sightings, but I did roll my ankle a few times. Gorgeous course. I think the winner last year was second this year. Do you have any idea how timely you are with all of this ferritin talk? The new RT that I read today on the waterfront during my lunch break (sigh!) has an article about an elite female American with celiac disease whose ferritin came out to be a 4 - evidently the average person's count is 20, with athletes at 30 and up. She got it fixed and now she rocks. Like you, for taking a rest weekend. I haven't read that RT yet!! I'll have to. The last time it was checked my ferritin was 7 so, yeah. Funny coincidence. So somehow for the past 2 days I felt less motivated to run, or eat anything remotely resembling healthy food, than I have felt in months. Ditto with blogging or anything else potentially uplifting. But during said mental breakdown I glanced at your first few words, which said that you ran zero point zero and felt great. I read nothing else until today. But I kept reminding myself of those few words *and* was even vaguely planning a blog entry re how your quote made me feel better (so far motivation to write said blog post still has not found me). But it was just so funny to finally get around to reading your entire post only to discover your feeling better partly involved my comment telling you to take a break—completely unbeknownst to me when I was also partly uplifted by your words. Sorry for the rambling but I was just amazed at the coincidence. Let's hear it for beating funkdom together! p.s. I had to edit/shorten the hell out of that comment for blogger to allow it....!